Expires in 1wk . Last validated 6d ago . Used 9 times. 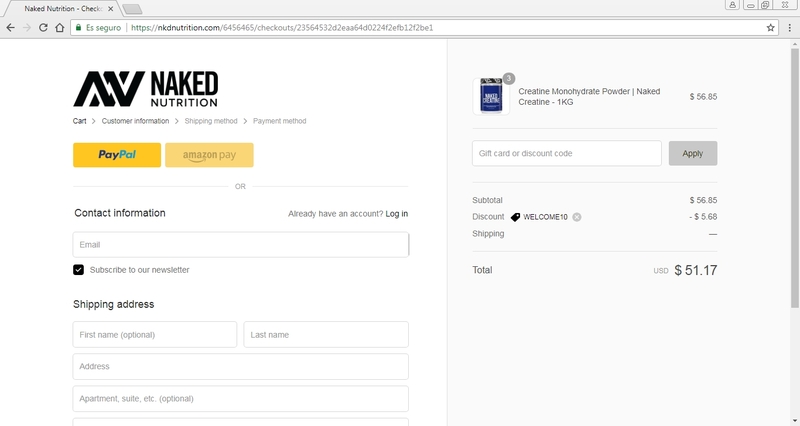 reinaldo briceno Get 10% off your order. 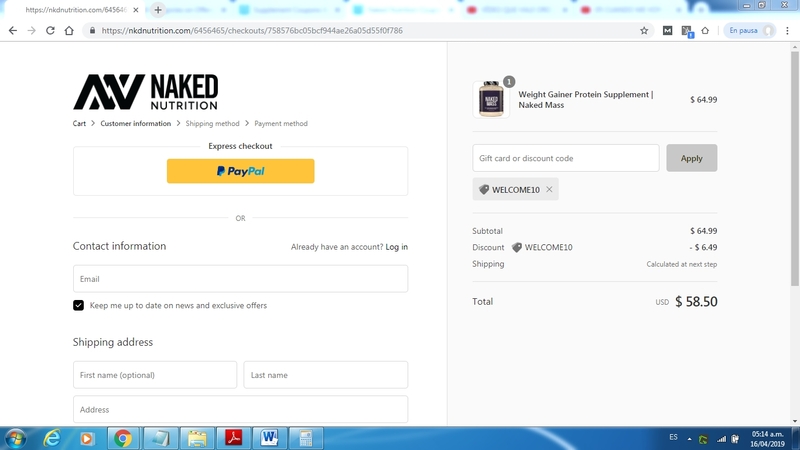 Use the coupon code WELCOME10 to claim your discount. Exclusions may apply to this offer. Roseynes This deal was verified and it is working as described. 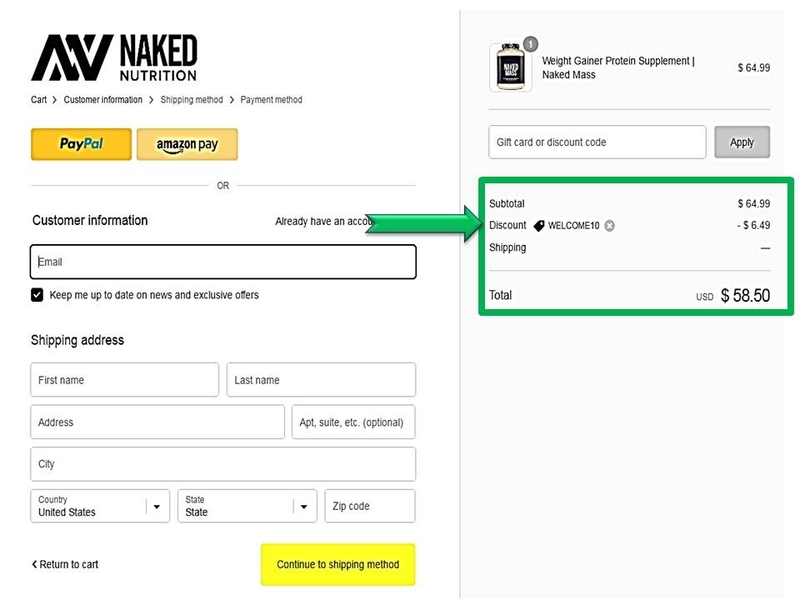 Select the items and enter the promo code <WELCOME10> at checkout to get 10% Off Your Next Order at Naked Nutrition. luis armando "I am validating that this deal works as described. 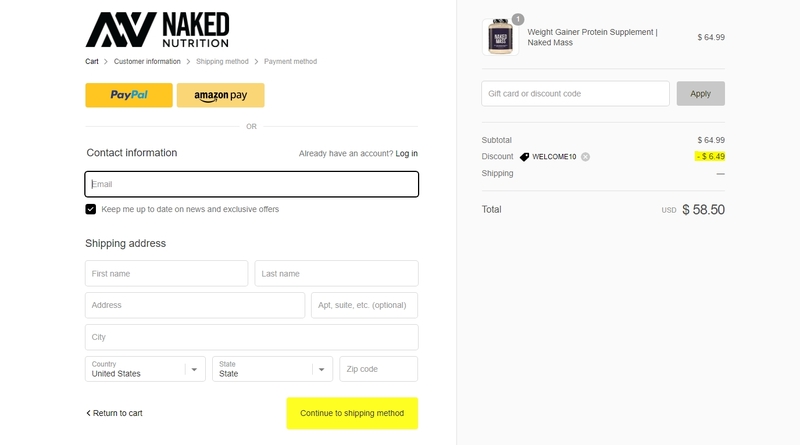 Enter code and Get 10% Off Your Order at Naked Nutrition (Site-wide) . This is a limited time offer."